Abu Dhabi, the federal capital of the UAE and the largest of the seven Emirates, with 80% of the country’s land area, is a popular business hub with a coastline that stretches over 700 kilometres. There are several free zones in Abu Dhabi which offer favourable environment for business setup in the Emirates and provide a gateway for foreign investors to tap its full potential. Abu Dhabi has a business-friendly environment with simplified company incorporation process. The emirate has a fast immigration process. There is no dearth of educated and skilled professionals in Abu Dhabi. 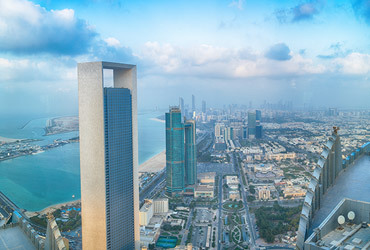 Abu Dhabi has one-window operation for a wide range of government services like visa formalities, residential permits, licensing, and postal services.